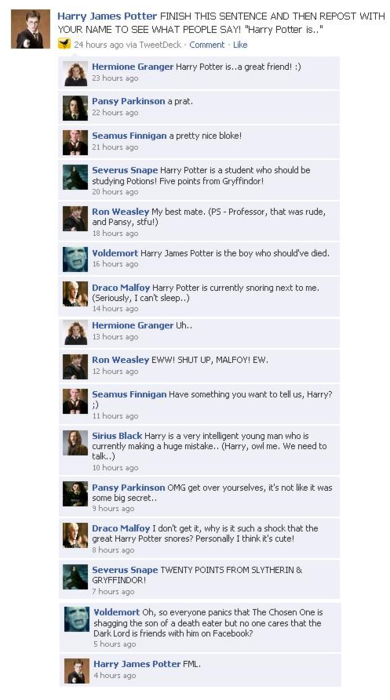 Funniest facebook conversation!! ROFL. . Wallpaper and background images in the Harry Potter Vs. 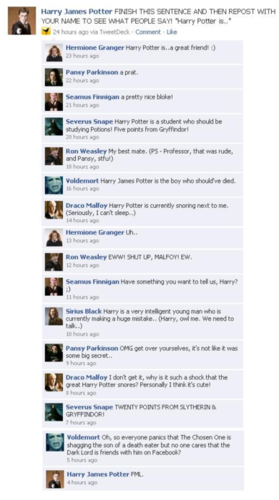 Twilight club tagged: movie harry potter funny lol harry facebook voldemort draco. LunaLovely, your icon goes GREAT with your comment. That. Is. The. Funniest. Thing. I've. Ever. seen.